Washington D.C. [USA], Jan 16 (ANI): As the longest-ever partial US government shutdown enters its 26th day, US Representatives are sharing stories of affected workers from government agencies who are going without pay due to the shutdown. "Ralph is an 11-year @USArmy vet who has spent 5 years keeping us safe at @MCO. Now, because of the TrumpShutdown, he's working without pay. They have a son in the 4th grade, one in college, and one with special needs. His family is struggling to make ends meet. ShutdownStories, " US Representative from Florida's 10th Congressional District, Val Demings, tweeted on Tuesday (local time). buy gas. This is appalling. EndTheShutdown ShutdownStories," US Representative Ann McLane Kuster stated. her family is struggling to make ends meet without her paycheck. ShutdownStories, " Brad Schneider, the US Representative from Illinois' 10th Congressional District shared. 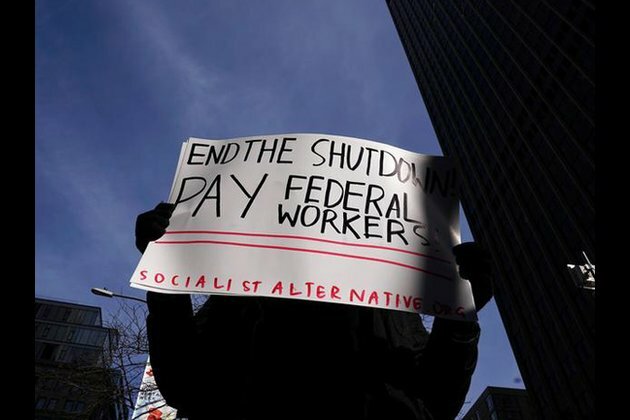 Representatives, mainly from the Democrat party, have taken to their social media to share stories of affected workers who are struggling to make ends meet due to no pay that has been triggered by the partial shutdown.